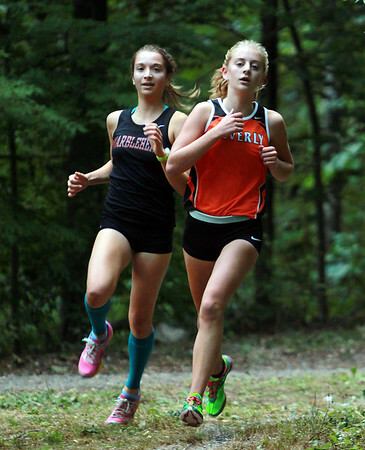 Marblehead junior Sarah Oliver, left, runs shoulder to shoulder with Beverly sophomore Lexi Sutyak, during a meet on Tuesday afternoon. DAVID LE/Staff photo. 9/23/14.